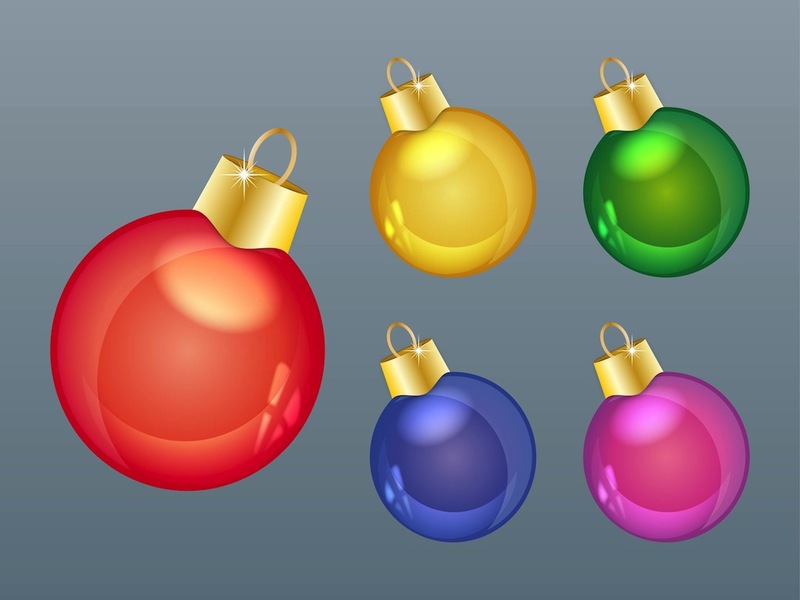 Festive vector illustrations of traditional Christmas tree decorations. Shiny glass balls in different bright colors. Golden upper part on all the balls. Glossy reflective round ornaments for your Christmas, holidays, celebration and holiday season projects. Free vector decorations for greeting cards. Tags: Celebration, Christmas, Colors, Decoration, Festive, Glass, Glossy, Gold.